Like the Suburban recipe I have posted before, here is another drink that is named after a famous horse race. However, the Derby in question is not the English version, but the Kentucky Derby, which has been run every year since 1875. And since the race has always been so popular across the U.S. (popularly referred to as the most exciting two minutes in sport), it seems every bartender across the continent has invented a cocktail in its honour at one point or another. The IBA ‘official’ recipe includes peach bitters, gin and mint leaves, suggesting a strong relationship to a julep, but there are at least two other well-known variants. The IBA may claim the ‘official’ recipe, but I prefer the ‘sour manhattan’ version that has come from Trader Vic’s Bartender’s Guide: bourbon, triple sec, lime juice & vermouth (making the cocktail one from the ‘modern’ camp). If it all sounds like the marriage of a Margarita & a Manhattan, you would be right: it is refreshing, but with a good, clean alcohol kick and a rich warmth from the bourbon/vermouth combination. If you had a friend whose automatic first choice of cocktail was a Margarita, I’d hand them one of these. They will thank you for it, and you would have made one more convert from the Margarita/Martini/Cosmopolitan triangle of inertia. I’d hazard a guess that this recipe does come at least from the Kentucky area; by May (the time of the eponymous horse race), the weather would be warm enough to need a good refresher drink, but evenings would still be cool enough to remind one of the wintery style of the Manhattan. 1/2 oz of sweet vermouth (Martini Rosso here, it needn’t be too rich). Shake well, and strain into a Martini glass, garnish with thin lime wedge. A recent addition to my drinks collection was a bottle of 7 year old Havana Club; this is a wonderfully dark, rich rum, good for sipping as well as mixing, so I wanted to find a complex cocktail recipe that could match the level of flavour in this drink. I had tried a Palmetto recently, which has been described as a ‘rum Manhattan’, but I thought this rum deserved more. 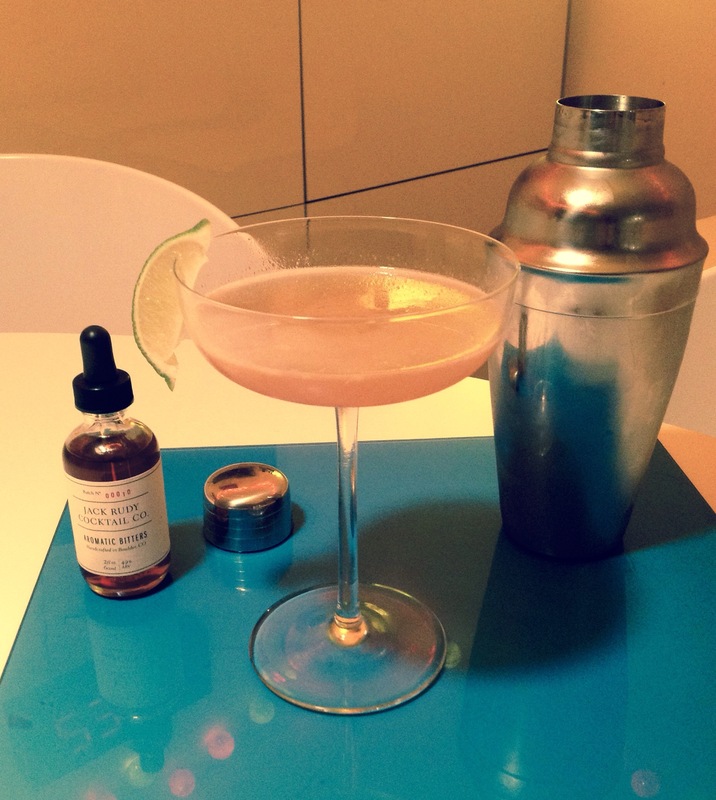 Taking a cue from the Sidecar I made a few weeks ago, I settled on the Embassy, a drink that originated in the eponymous Embassy Club in Hollywood in the 1920s. Sadly, history doesn’t record the barman who invented the drink, but the story of Eddie Brandstatter, the restaurateur who opened this, and many others, before sadly taking his own life in the 1940s is as fascinating as this drink: with three different spirits and a decent amount of lime juice, it is like a very grown up Margharita. It is a potent cocktail, and when I sipped it, I could imagine the bright young things of the twenties enjoying it in California nearly a century ago. Approach with caution, mix with élan & drink like you are partying with Clara Bow. 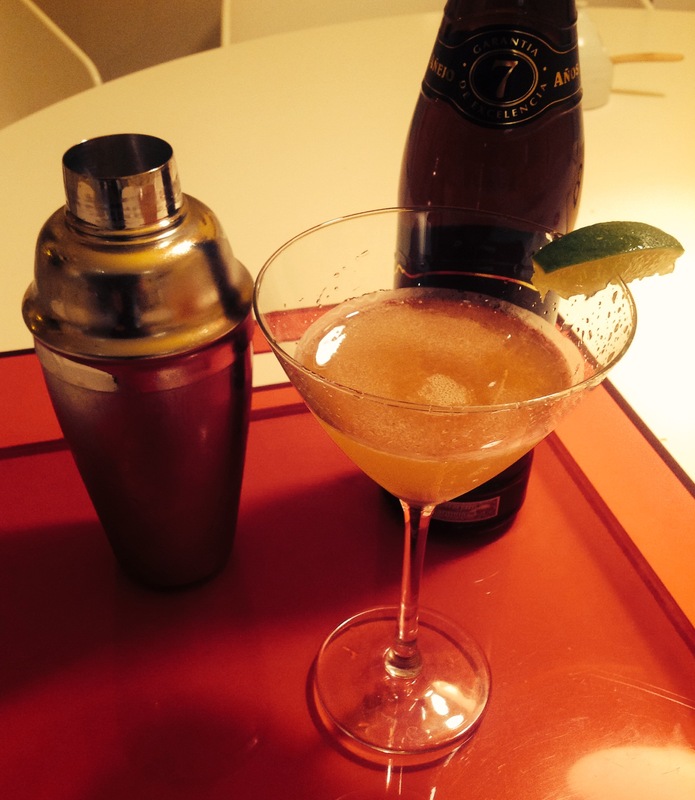 Shake well in a shaker over ice, then strain into the Martini glass. Garnish with a wedge of lime. Variations: Diffords guide makes this drink with white rum. This would make the drink lighter, but much drier I imagine.